Brazil’s Labor Court ruled the strike illegal, calling it ‘abusive’ and stating that it could bring further damage to Brazilians, already suffering from a week of food and fuel shortages due to the truck drivers’ protest. RIO DE JANEIRO, BRAZIL – Just as supplies and fuel were starting to trickle down to supermarkets and gas stations, after more than a week of protests from truck drivers in Brazil, the country woke up on Wednesday to a 72-hour strike, this time promoted by employees from one of Brazil’s largest companies, oil giant Petrobras. The country woke up to another strike, this time by employees of one of Brazil’s oil giant Petrobras (the first since 2015 pictured), photo by Fernando Frazão/Agência Brasil. Petrobras employees are protesting fuel price policies, Petrobras’ management and the high price of cooking gas and fuel to consumers. “We want to change [Petrobras President] Parente’s policy and take the privatization process out of Petrobras. We do not want to deepen the crisis. In this scenario, we will strike,” said the director of the Federation of Oil Workers (FUP), Simão Zanardi Filho. Brazil’s Superior Labor Court (TST) ruled the strike illegal, calling it ‘abusive’ and stating that it could bring further damage to Brazilians who are already suffering from a week of food and fuel shortages due to the truck drivers’ protest in the country’s major highways. According to TST judge Maria de Assis Calsing the actions of petroleum workers at the present time are exclusively ‘carried out to disrupt’ and not a legitimate labor claim. “It is potentially serious damage that the strike of petroleum workers will cause to the Brazilian population, as it results in the continuity of the harmful effects caused by the protest of truck drivers,” said TST judge Calsing in her ruling. The judge ruled that the strikers’ union must pay a daily fine of R$500,000 if their employees strike and that protesters also prevented from halting the transit of goods and people at the refineries. 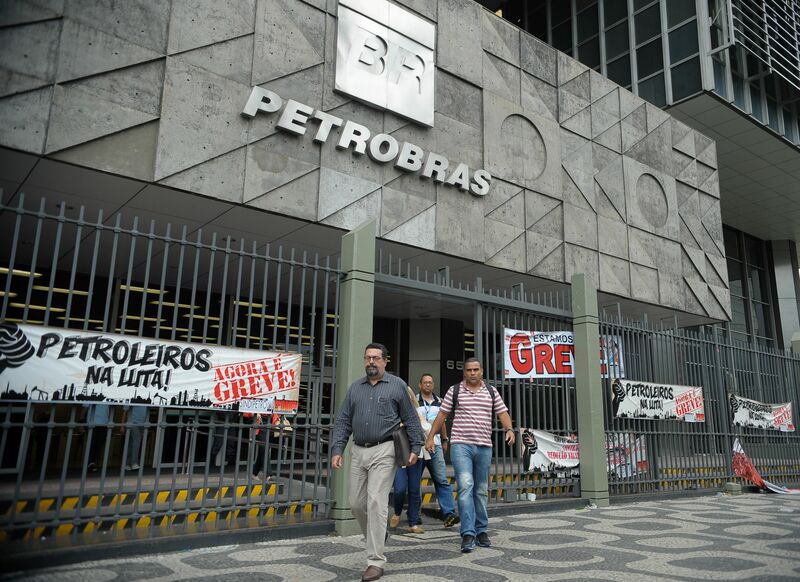 Petrobras President, Pedro Parente, whom strikers demand resign, called the 72-hour shutdown ‘political’ in nature. “There is no demand [by strikers] because the demand is much more political in nature than of getting benefits [for workers],” said Parente, attending a conference call with investors and bank analysts on Tuesday.